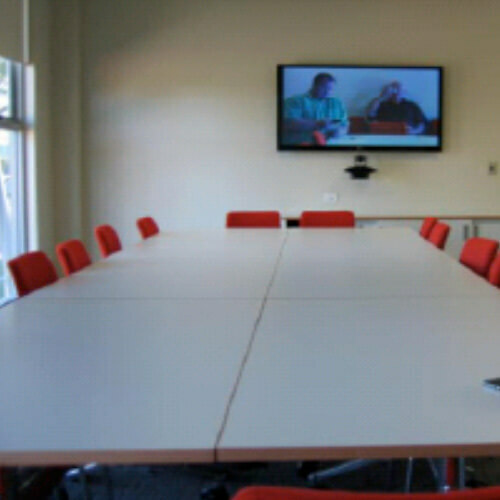 A modern air conditioned room that provides a variety of technical options including access to video conferencing, use of a plasma screen or projection screen. Have access points so a lap top can be hooked up to the systems as well. This room also has access to the shared kitchenette facility. CAPACITY: Seats up to 16 people around the table, remove the table and you can seat up to 40 people.